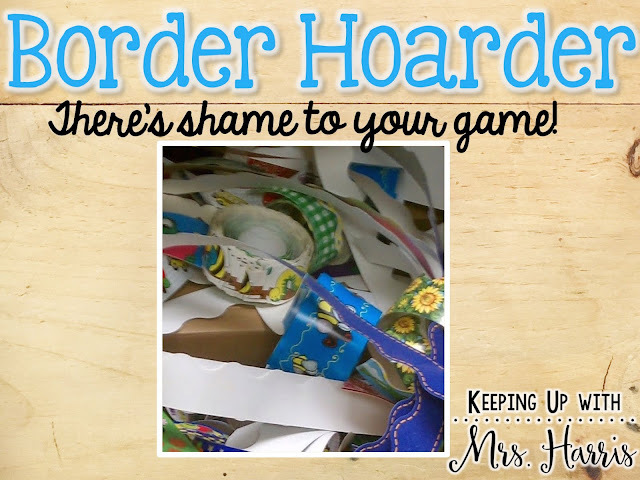 Are you a "Border Hoarder"? The first step is acknowledging it! I know it's hard. I'm a sucker for bright colors and patterns like all good Elementary teachers are! 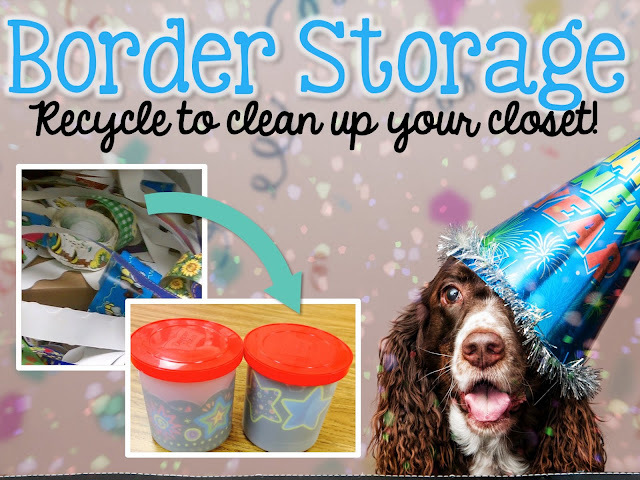 God gave us this passion for children, office supplies and adorable bulletin board border and TODAY we are going to solve the storage problems you are facing! So let's Get a Fresh Start with Border! Does this look familiar? Yep, its a sad reality that we live in! We use a border and toss it in the closet, because no one has time to put it up and border just doesn't store neatly. It's ok! 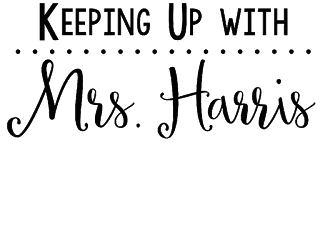 I promise we can organized this mess in no time! 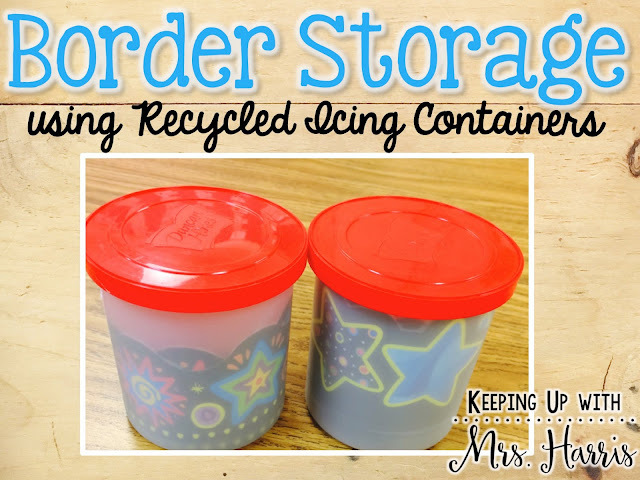 If you are a real life hoarder (saver, collector of random items, gatherer of old things, etc), then you probably have a few old icing containers stacked on a shelf somewhere! There's your solution my friend! Roll that border up and shove it in an icing container! Or perhaps you are like me...to clean I go around my house with a trashcan. I save nothing and am probably considered by some wasteful. 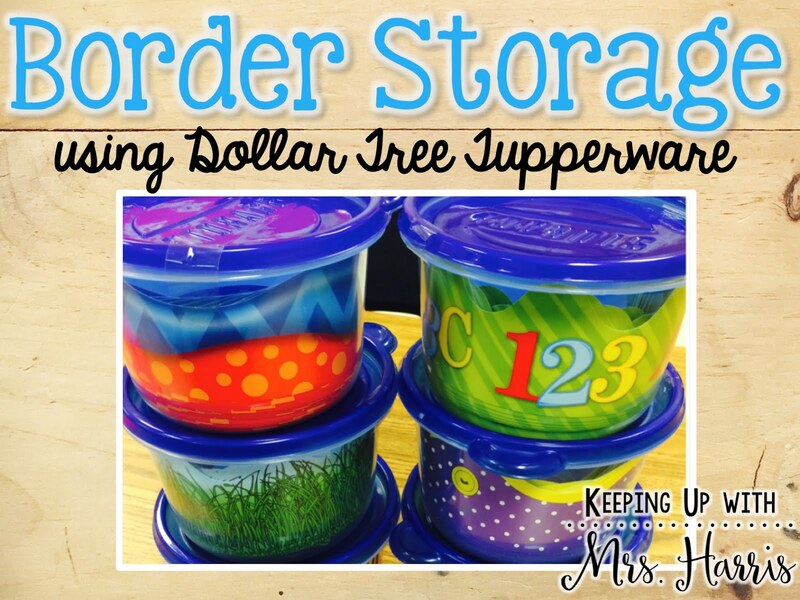 So for my storage solution for my border, I went to Dollar Tree and bought a 6 pack of cheap upper wear storage bowls for $1 (How much is everything in Dollar Tree?). Let's review...your border hoarder ways have to go to make you feel better about the 2016 organization resolution you set. You can easily solve the border hoarder cycle by either pulling out the icing containers or heading to your local dollar store. It's simple friends and the storage containers allow you to see the border without even opening the pack.